Making desserts for a dinner party is probably my most favorite task. It is always a challenge to come up with new, creative and unique ideas. Another challenge is to keep the dessert healthy and sweet. Here are some quick, simple, yet healthy dessert recipes. The first dessert recipe is a lemon bar. These bars are delicious and fairly healthy. It is not oily at all and only a 180-calorie dessert. They are also very simple to make. You can bake them with your kids or your friends. Begin by preheating your oven to 325 degrees F. Also take this time to grease a 9x13 inch pan with cooking spray. In bowl, stir 2 cups of flour and confectioners' sugar. Blend in the room temperature softened butter. When the mixture fully blended, it should have a crust-like texture. Press into the bottom of the prepared pan. Bake in the preheated oven for 15 minutes, or until golden. Be careful with this step. You want it to be a golden yellow. If it is too brown, you may have burnt the crust. So keep your eye on the oven. In a small bowl, beat eggs until light. Combine the sugar, baking powder and 1/4 cup of flour slowly into a medium bowl. Pouring it in slowly will prevent any lumps. If you have extra time, sifting it is a good idea. Stir the egg mixture into the sugar mixture. Finally, stir in the lemon juice. Pour over the prepared crust and return to the oven. Make sure to increase the temperature of the oven to 350 now. Bake for an additional 25 minutes or until bars are set. Allow to cool completely before cutting into them. Some people like to lightly dust the top layer with powdered sugar to give it a pretty look, and to sweeten it up a bit more. Another idea is to lightly dust the top layer with a bit of lemon zest. This next recipe is one of my favorites. They are fudge brownies made from scratch. You can eat it without feeling guilty. 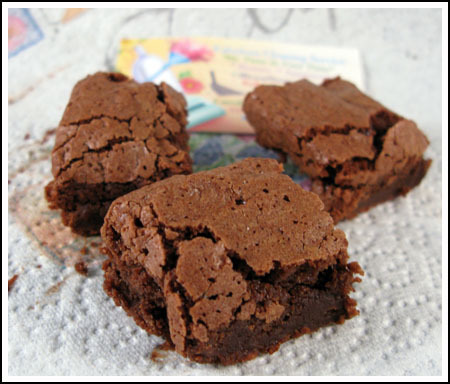 They are much tastier and healthier than the regular brownies you make from a mix or buy from the store. These fudge brownies only have 240 calories as well. In a small bowl, whisk together the egg, egg white, yogurt, and vanilla extract. When it is mixed smoothly, set it aside. In a small saucepan, combine the sugar, oil, salt, and 3 tablespoons water. Stir this mixture constantly for about 3 minutes on medium-high heat. Remove it from the heat and stir in the cocoa and chopped chocolate until it melts. Slowly add in the egg mixture. When these 2 mixtures are fully combined, add all of the flour in small batches to prevent lumps. Stir this until it is smooth. Finally, pour your batter into the baking pan and spread it evenly. Bake it for 25 minutes (give or take depending on your oven). To check it, poke a fork into it and if it comes out fairly clean, it is ready to go. Let your brownies cool completely before cutting it. If you desire, lightly dust them with cocoa powder or even some powdered sugar. 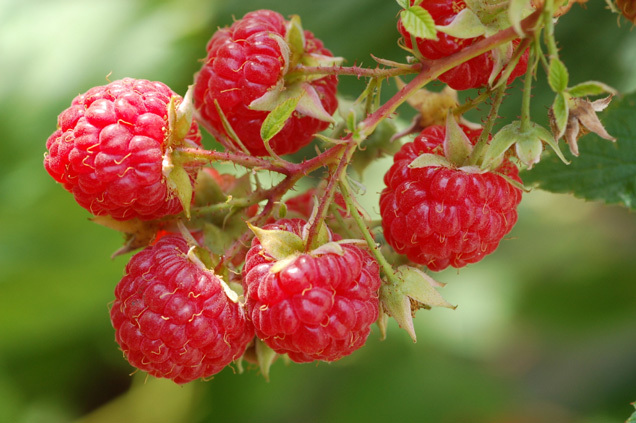 This however, may make them too sweet so taste them before you decide. This final dessert tastes as good as it sounds: raspberry-mousse almond crumb cake. It is light and delicious. It may take a little bit more work, but it is all totally worth it. It is 235 calories and a hit at any party or event! Start out by preheating your oven to 350 degrees F. Take this time to grease your pan with cooking spray. Next, combine the flour, sugar and salt into a medium bowl. Slice the butter into small pieces and mix into the flour mixture until it is crumbly. * Take ½ of this mixture out and set it aside for later use. Add in the yogurt, vanilla and almond extracts. Then add the egg, baking powder and baking soda to the mixture. Beat the mixture with an electric mixer until it is fully blended. Pour this into your pan and set it aside. Using an electric mixer, combine the cream cheese and raspberry jam. When it is blended smoothly, spread it over the other batter. Top this with the second half of the crumbly flour mixture you saved from before. Sprinkle the top with raspberries and chopped almonds and put the pan in the oven for 45 minutes (give or take depending on your oven) or until the edges are golden brown. Let it cool for a half hour and place it in the refrigerator. This dessert is best served chilled. *Make sure the butter is not too hard. If it is, you may not get the texture you are looking for. Keep it out before you start baking it, making it easier to get the texture you want. Thanks for sharing these healthy mouth watering recipes. Your welcome, the brownies and lemon bars are my favorite! Lemon Bars are so delicious! I haven't had them in so long. I'm definitely going to try and make these. Thankyou for the feedback. It has been a while since I have made lemon bars. When making this article, I used the recipes shown to make some of the best lemon bars I have ever tasted. Hmmmmm Fudge Brownies I love it! Thumbs Up! 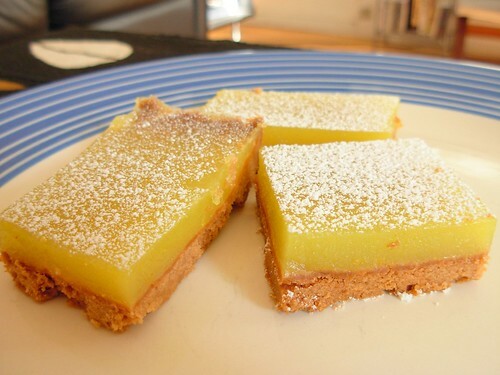 I've never made lemon bars, but that recipe and especially the image is a winner. Will be on the list of things to bake. Looks delicious, but the texture is a winner!